According to The Hollywood Reporter, Canadian actor Ryan Reynolds (known primarily for his role as Wade Wilson/Deadpool) will star as an NPC (non-player character) of a videogame in his next movie. Free Guy, that’s the movie’s title, will be directed by Shawn Levy (Stranger Things, Arrival, Night at the Museum) and written by Matt Lieberman. In the film, the character played by Reynolds eventually realizes that he’s inside a videogame and cooperates with a real player to try and keep the game’s creators from closing it down. Related A Cure For Wellness Review: Is This The Horror Thriller You’ve Been Waiting For? While no further specifics were provided, it’s clear that the inspiration comes from persistent online titles like MMOs. Over time, several MMOs were shut down by their very own creators, usually because they were not profitable anymore. 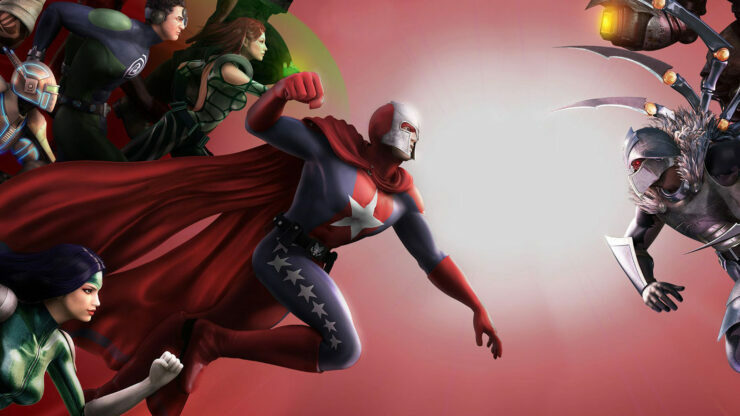 One particular case is City of Heroes, the superhero themed MMO made by Cryptic Studios and released in 2004. Publisher NCSoft eventually decided to close it down on November 30th, 2012, despite thousands of players protesting and showing their love for City of Heroes. Ultimately the game was still closed (though there are at least a couple spiritual successors on the way and one of them is called Valiance Online), but we expect Free Guy to have a different ending, being a Hollywood movie and all. I’m the Freeman Teaser Trailer Launched.